Reverberations from the 2015 killings at the Charlie Hebdo office persist, with cartoonists debating the responsibilities of satire and the dangers of censorship, while politicians who marched under “Je Suis Charlie” banners continue to clamp down on their own country’s journalists and political cartoonists. Index on Censorship has just compiled a valuable international overview of the assault on free speech — with the Hebdo killings serving as its hub. 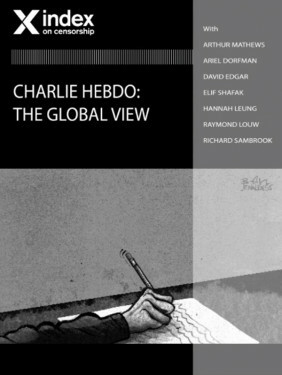 Editor Rachael Jolley has brought together insightful, far-flung contributors like novelist Elif Shafak, journalist Hannah Leung, and Father Ted creator Arthur Matthews to examine the echoes, repercussions and contradictions of the Hebdo tragedy in Charlie Hebdo: A Global View.